Gems cannot be polished without friction, nor a man perfected without trials"
I was a good swimmer in my school days. I used to swim and float for hours in a temple pond in our village. Somehow, I didn't pursue this good habit later on. When I was working as a Process Engineer in FACT, I once went for a picnic along with my friends to the famous Athirampally waterfalls in Kerala. There was a small irrigation canal nearby, leading to a dam shutter. We saw some people swimming there in the canal. Out of sheer enthusiasm and confidence of being a good swimmer in my yester years, I jumped into that canal. Within seconds I realized that there was something wrong with the strokes I was making. My legs and hands were not moving in unison. I felt as if I was a beginner. A gulp of water and fear gripped my soul. Luckily, I saw some concrete steps reaching into the canal on one side. I mustered all my energy in that direction and made a miraculous escape. When I sat there on the steps, panting like a dog, I realized the naked meaning of an important trait and that is Practice. This is the first face of my pyramid. My lack of practice had rusted my faculties as a swimmer. Practice is the pruning knife that rids us of projections in our performance abilities. This applies to practice in all arenas of our activities. Practice empowers us with one important faculty and that is control. It is this control that helps us to always stay in the right track. Like the basket ball player Ed Macauley said, “When you are not practicing, remember, someone somewhere is practicing, and when you meet him he will win”. What is important in practice is that it should be done in the proper way. I had a friend who got fed up of reading that smoking was injurious to health that he quit the practice of reading. If you practice an art or a skill, be proud of it and make it proud of you. It may break your heart, but it will fill your heart before it breaks it; it will make you a person in your own right. 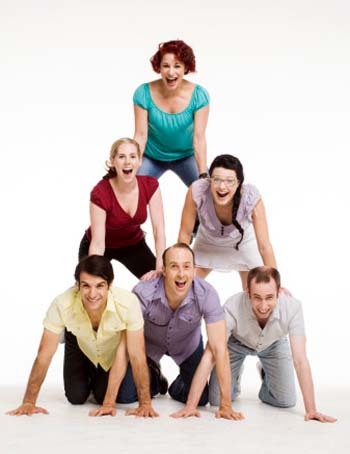 Proverb says, "He freezes who does not burn" and that speaks about the second face of my pyramid, i.e. "Passion". A man should effuse passion from every pore of him to enjoy life's most imperceptible fragrances to the full, enormous taste of its heaviest fruits. Passion is the tinder that ignites action. A man without passion is spiritually dead. He has no glow or spark within him. Do you know how peasants buy cattle? They simply lift the tail, and the effect is miraculous. Those who have no mettle in them offer no resistance. But those who have mettle jump at them in protest. The peasants choose the latter. Similarly, those who have no grit and passion within them are like rice soaked in milk, soft and cringing. No strength within! No capacity for sustained effort! No power of will. They become failures in life. Water becomes steam with the difference of only one-degree C in temperature. Passion is that steam that propels us to climb any cliff and even go beyond it. Vittas Gerulatis, the renowned Tennis player suffered defeat at the hands of Bjorn Borg thirteen times in a row. On the fourteenth time Vitas Gerulatis won the match. As often that happens on occasions such as this, the whole TV and press crew gathered around him. A journalist faced him with the usual question - "Yes, how do you feel Vittas"? There came the classic reply. "Nobody can beat Vittas Gerulatis 14 times in row". This reveals the true sheen of the third face of my pyramid and that is – "Persistence". If Columbus had turned back, nobody would have blamed him. Nobody would have remembered him either. The prices of life are at the end of each journey, not near the beginning. We all must persist until we succeed. In for a penny, in for a pound, that should be our attitude in all our enterprises. The fourth aspect of my pyramid is about the miracle of Chinese bamboo tree. After the seed for this amazing tree is planted, you see nothing, believe me, absolutely nothing, for four years except for a tiny shoot coming out of a bulb. During those four years, all the growth is underground. It develops massive, fibrous root structure that spreads deep and wide in the earth. But then in the fifth year, the Chinese bamboo tree grows up to eight feet. This is the miracle of the Chinese bamboo tree. Many things in our lives are like the Chinese bamboo tree. You work and you invest time and effort, and you do everything you can do to nurture growth and sometimes you don't see any progress for weeks, months or even for years. But, if you are patient and stead fast, keep working and nurturing, that "fifth year" will come and you will be astonished at the growth and change you see taking place. Everything in life is gestation and birthing. We all have to wait, may be hours or even years, with deep humility and patience until each impression, each embryo of our experience brings forth a new clarity. As the great German Poet Rilke Says "Being an artist means ripening like a tree, which does not force its sap and stands confidently in the storms of spring, not afraid that afterward summer may not come. It does come. But it comes only to those who are patient, who are there as if eternity lay before them, so unconcernedly silent and vast." Patience is everything! The last aspect of my Pyramid has something to do with the saying; "You catch more flies with honey". The quality I am referring to is Politeness. When you are gentle, people are drawn to you like "flies to honey". They will even condone your mistakes and their comments about you will always be positive. When you are acting pushy, you are virtually pushing people away. In the process, you are inducing more stress and strain on yourself. Politeness to me, is manliness without ostentation. It is keeping serenity of your temper even in the most trying circumstances. It is admitting your mistakes with humility. I would like to share with you a fable. Late one night a blind man was about to go home after visiting a friend. "Please", he said to his friend, "May I take your lantern with me?" . "Why carry a lantern?" asked his friend, “you won't see any better with it". "No", said the blind one, "Perhaps not, but others will see me better, and not bump into me". Off went the blind man with the lantern, and before he had gone more than a few yards, crack! Someone walked right into him. The blind man was upset. "Why don't you look out"? he asked- "Why don't you see my lantern?". " Why don't you light the lantern"?, yelled the other. People who are impolite and unserious are like the young man who recklessly run into the blind and yet command him to light the lantern without offering any apologies. People who are polite show true reverence and respect to one another and acknowledge their love and humility to fellow human beings. Craftiness and duplicity are unknown to them. Learn to be polite and attract flies wherever you go. My intention in fabricating this pentagon pyramid was to illuminate its sides in its true light. May be these sides will support us to have a strong foothold in our lives and help us to climb the pyramid, which is life itself, with considerable ease and confidence. May be, it can stimulate a qualitative change in our way of life. When your steps falter, think of these inspiring words of Ogmandino "I was not delivered into this world in defeat nor does failure course in my veins. I am not a sheep waiting to be prodded by my shepherd. I am a lion and I refuse to talk, to walk, and to sleep with the sheep. I will hear not those who weep and complain, for their disease is contagious. Let them join the sheep. The slaughterhouse of failure is not my destiny".